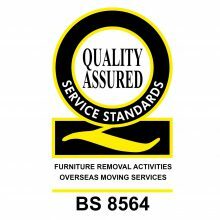 Kilmarnock Removals International are an award-winning domestic removals company. Whether you are moving your home a mile down the road or to the other side of the world, we have the skill, expertise and experience to make sure you get there with the minimum of fuss. Moving overseas is a major life-changing event, and moving your belongings with Kilmarnock Removals International means one less thing to worry about. As a member of the elite BAR Overseas Group, we set the benchmark in international removals services. If your business is moving premises, we ensure that everything goes smoothly with minimum disruption. Our professional service will take care of every aspect of your move from providing heavy duty packing crates to moving items of office furniture. The handlers were exceedingly helpful, courteous and professional. A credit to the company. 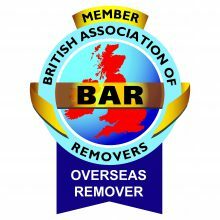 Kilmarnock Removals International have been proud members of the BAR (British Association of Removers) for many years. We beat off all other removal companies in the UK to win their ‘Domestic Remover of the Year 2016’ title. Winning the award doesn’t just make us incredibly proud, it is also testament to how hard we work to provide our customers with award-winning removals services. With 40 years’ of experience, we are experts in moving everything from toasters to pianos. 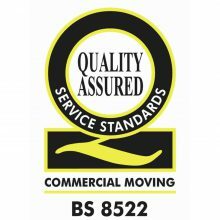 So whether you are moving your home or business, take the worry out of your move and let us do it for you. 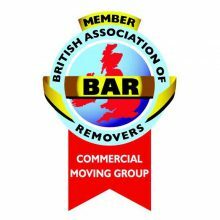 The voice of the removals industry, BAR ensures its members adhere to strict standards to offer only the best customer service. We are based in Kilmarnock, Ayrshire, and can relocate you from any area of Scotland and the UK. Our office and storage facilities are easy to find off the B7038, close to Howard Park. 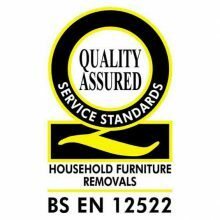 Kilmarnock Removals works hard to continually achieve Quality Service Standards. Designed specifically for the removals industry, they ensure delivery of the highest levels of customer service.